The ethical examination of stem cell research involves many questions: how do we deal with human embryonic stem cells in research? When does an embryo apply as a human being? What are rights of subjects in clinical trials - and what does that have to do with me? What are unchecked therapies? Which laws for stem cell research are there? And how do national legislation and an innovative research landscape relate to each other? In this lesson, the students develop the legal and ethical foundations of stem cell research. Like participants of a scientific conference, they prepare a discussion (panel), a poster and a pitch (pitch). Topics are the own opinion finding, the legal bases, as well as the proband right. 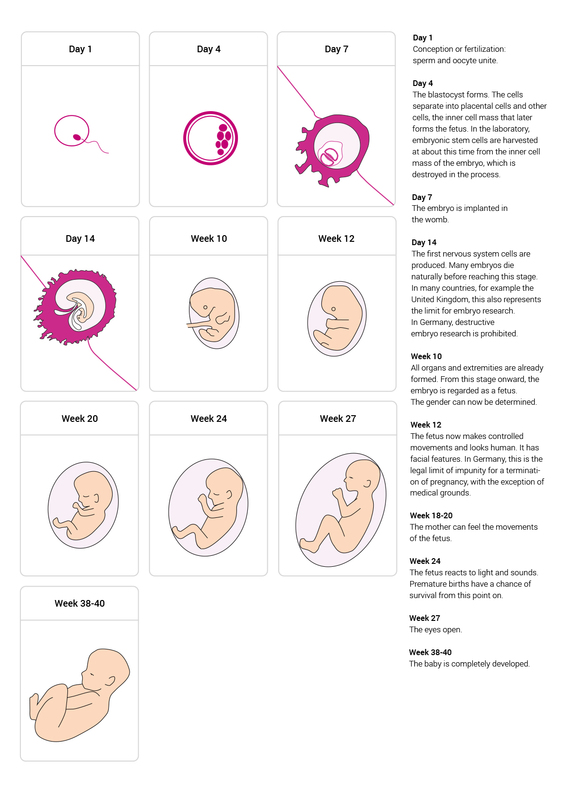 Overview of the developmental phases and skills of a human embryo in a graphic. Task Panel: Prepare a panel on the following question: When will an embryo be worth living for? Task Poster: You work in two groups. 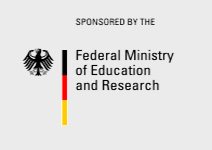 A group designs a poster on "Legal framework for stem cell research in Germany". The other group designs a poster on "Patient's Protection: Questions Patients Should Ask." Task Pitch: You work in two groups. A group prepares a pitch for a research project. The project aims to capture induced pluripotent stem cells for disease models. The other group are conference participants. They examine the project on three levels: feasibility, utility and ethics. Panel is called a panel discussion at scientific conferences. Experts exchange their positions on a specific topic in these discussions. Posters are used at conferences to present research projects and results. Often there is a template for their design that conference participants use for the presentation. A pitch is a short advertising presentation of a project. Scientists are pitching research projects to find supporters for their research projects.